If your pregnant and it’s unexpected, it can be quite a shock! You might be wondering who to turn to and what to do. In this episode, I speak with Kayla, Lee, and Tarah. They are all in very different situations but each of them is pregnant and having their own set of struggles. 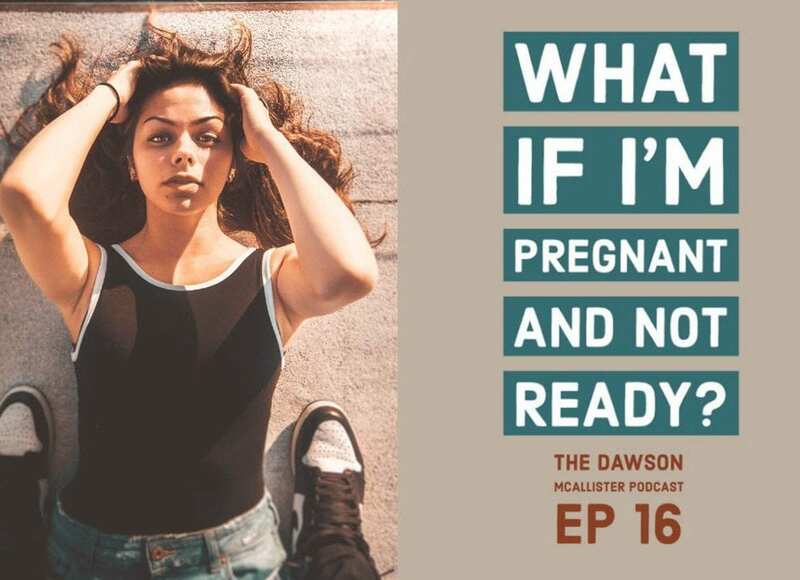 Kayla is not exactly sure who the birth father is, Lee’s boyfriend is an alcoholic and smokes weed, and Tarah hasn’t settled on keeping the baby but she says abortion and adoption are not options for her. I know it can be scary to have an unplanned pregnancy. You don’t know what your family and friends are going to say. Sometimes the baby’s daddy reacts badly or is not even in the picture anymore. But if you’re pregnant, the baby is coming and you have a limited amount of time to make decisions. You need to give yourself time to absorb the shock of being pregnant, then rally the right people around you, and start to make the life-changing decisions of what to do. So, Kayla should go to the doctor and figure out the timeline to determine who the birth father is. If it is still not clear, then she should have DNA testing done, once the baby is born. But she needs to remember, the child’s well-being should be considered first. Lee told me she’s pregnant and then after dating her boyfriend for 2 years, found out he’s an alcoholic and smokes weed. As she was telling me this, I thought to myself, if she just found out about his addictions 2 weeks ago, think of all the things she hasn’t found out about him yet. For example, he could be cheating on her. If he is willing to yield to the temptation of drugs and alcohol, cheating on her would be an easy choice to make. She will most likely find out he’s also a thief. He’s got to get the money somewhere to feed his habit, not to mention, his baby. So, rest assure, if he hasn’t started stealing, he will soon. He’s also self-centered. Anyone addicted to drugs and alcohol cares only about themselves and how they are going to feed their habit. If he’s so consumed with his drugs and alcohol, he won’t be able to focus on the needs of his child or you. Having a baby is all give, they don’t care if you’re tired or upset or whatever. If they have a need, you’re going to hear about it. Also, if you think your boyfriend is in bad shape now, you haven’t seen anything yet. Nothing good happens with addictions. You don’t want an unstable, addict father around, he’ll end up doing more damage than good. I have real hope for Lee, she’s already thinking about what’s best for her baby. But she really needs our prayers. She faces an uphill battle and only God can give her the strength to love and protect her baby. Tarah needs to help lessen her stress. She’s making it harder by not talking to her mother or family who hopefully will support her. If her mother doesn’t want to help and kicks her out, there are others who will find a home for Tarah and her baby. Make sure you have people supporting you and your decisions but, ultimately only you, can make the decision. Tarah is up against it. She’s pregnant and feels all alone and knows she has a choice to make. Anytime, one gets pregnant, there’s only 3 options: abortion, adoption, and keeping the baby. By saying yes to one, you’re saying no to the other two. It’s easy to figure out, it’s not always so easy to make the choice. And this is the kind of decision you can’t take forever to make; the baby is coming whether you like it or not. If you are pregnant, and don’t know what to do. You need to first gather all the facts, which includes going to the doctor to have the test to make sure you are pregnant. Secondly, you need to get people around you who care about you. You need a support group of people who will encourage you, love on you and give you wise counsel. Then with the help of those who love you, you can go on to make the best decisions for you and your baby. Check out my blogs: What to Do if You’re Pregnant, Pregnant? Consider Adoption, Help, I’m Pregnant, I’m Pregnant. How did I let this happen? Check out other’s stories about pregnancy: Teen Pregnancy and Depression and the Fear of Pregnancy. Get help with any pregnancy related concerns you have and find a pregnancy center near you by contacting Option Line. They have a 24-hour helpline. To reach, call 1-800-712-4357, text “helpline” to 313131, or Chat with Option Line. You’ve been in a relationship with someone and now that relationship is over. You have ties to that person which are hard to break. Sometimes, it’s tremendously harder to move on from them than you thought it would be. If you’re having a hard time moving on from your ex, join me for my next episode. I speak with Anthony, Jessica, and Keith, each of them trying to get over their ex! You might just find some advice that works for you as well.